Norman's Tags and Title Service was established over sixty years ago as an alternative to the Motor Vehicle Administration. Norman's, a family-owned and operated business, is committed to providing fast, friendly, and reliable motor vehicle services. For your convenience Norman's has extended hours and a knowledgeable staff. Online with the Maryland MVA, Norman's can electronically process title transfers and issue tags/registration over the counter in five to ten minutes. 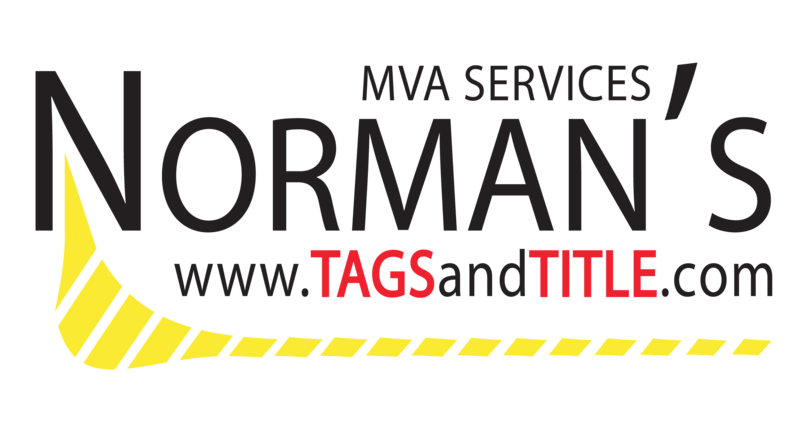 Norman's Tags and Title looks forward to assisting you with all your Maryland MVA transactions. Don't waste your time standing in line at the MVA--contact Norman's now!